Fiction River is an original fiction anthology series. 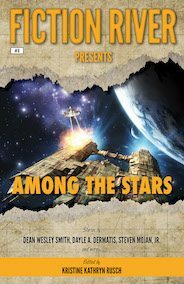 Modeled on successful anthology series like Orbit, Universe and Pulphouse: The Hardback Magazine, the goal of Fiction River is to provide a forum for “original ground-breaking fiction of all genres.” Fiction River publishes six volumes per year, and is an imprint of WMG Publishing. Subscriptions are available in electronic and trade paperback format. For more information, click the link below. Smith’s Monthly is the innovative brainchild of USA Today bestselling author Dean Wesley Smith. Comprised of short fiction, nonfiction, poetry and a full-length novel, Smith’s Monthly offers a monthly dose of diverse reading for Smith’s fans and newcomers alike. Subscriptions are available in electronic and trade paperback format. For more information, click the link below. 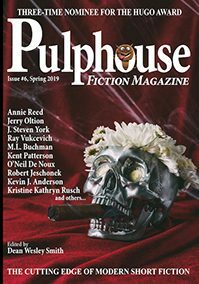 Pulphouse Fiction Magazine has returned twenty years after its last issue. The first issue came out in January 2018, and the magazine is quarterly, with about 70,000 words of short fiction every issue. This reincarnation mixes some of the stories from the old Pulphouse days with brand-new fiction. The magazine has an attitude, as did the first run. No genre limitations, but high-quality writing and strangeness. For more information click on the link below. 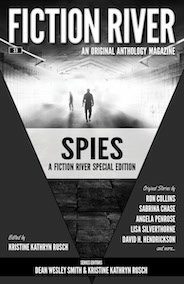 Fiction River and Fiction River Presents subscription info, click HERE. Smith’s Monthly subscription info, Click HERE. Pulphouse Magazine subscription info, click HERE.